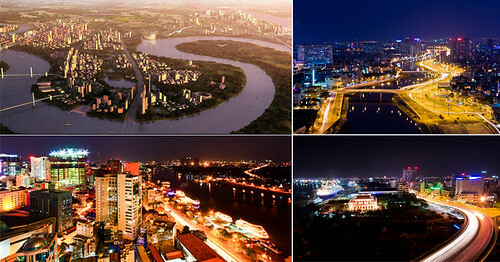 VNRE – The An Phu complex is located in An Phu An Khanh Urban, District 2, the fastest developing region of Ho Chi Minh City and is the east gate of the city connected to the South-East provinces. 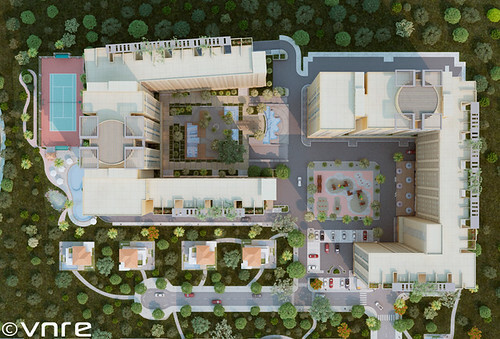 The prject has total land area of 6.9 ha and total building floor area of 350,000 m2. This is a complex project including shopping center – service – entertainment, luxury apartments, offices and five star hotels. The project is invested by the Saigon Co-op Investment & Development Corporation and Mapletree Investment Co., Ltd Vietnam – a member of Temasek Holdings (Singapore), one of Asia’s leading investment group. 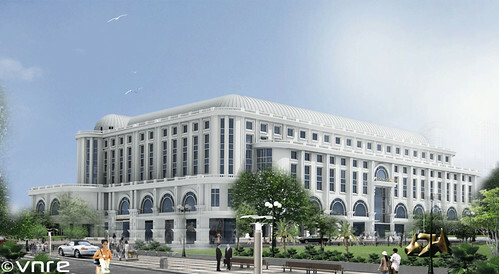 As planned, the project will be implemented in three years, it will be started construction in Q4 2012 and completed in late 2015. 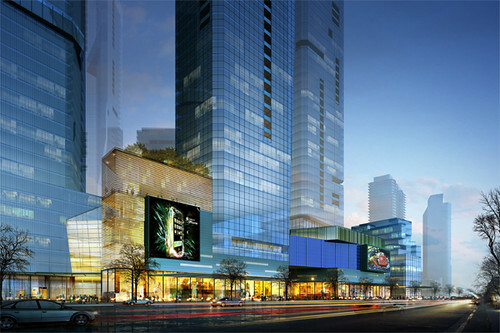 Recently, the Saigon Co-op and Mapletree has also started SC VivoCity project in Saigon South Place complex. 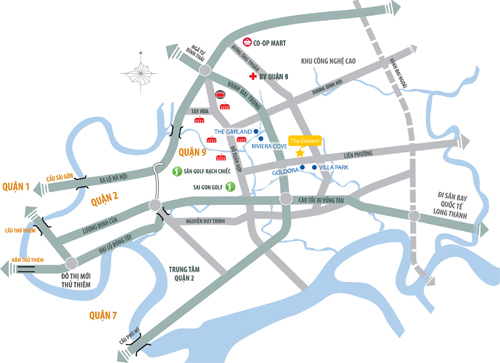 VNRE – The Eastern located in front of Lien Phuong Ward, District 9, Ho Chi Minh City, where the transport infrastructure, social infrastructure and urban develop quickly. Surround The Eastern is a series of high-end residential areas have been implemented such as Riviera Cove, The Garland, Goldora, Villa Park… In the near future, the arterial roads of the city such as: HCM City – Long Thanh – Dau Giay Highway, Ring Road finished, will create a new face for District 9 and easily connect to the city center. The project is built on a land area of 15.869 m2, including 02 apartment blocks A and B, in which block A high 22-storey with 320 apartments and block B high 22 floors with 328 apartments. 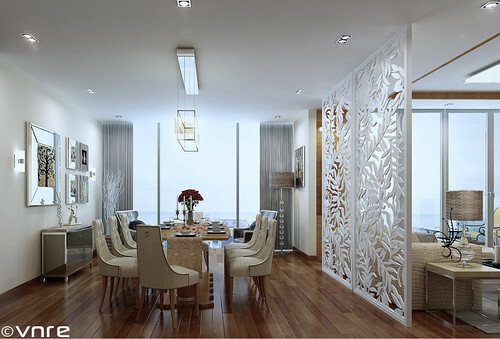 The Eastern aparment was designed variety architecture and area from 56 m2 to 112 m2, which range from 2-3 bedrooms. Spacious basement area of the blocks are used as a parking lot, make sure to serve the needs of residents living in the home and visitors. 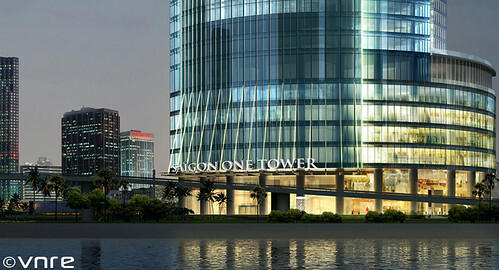 The project was officially started on November 16, 2011 by Posco E&C Vientam as main contractor. 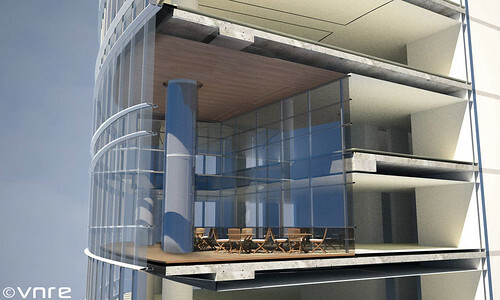 It is expected to be completed and handed over to customers in late 2013. 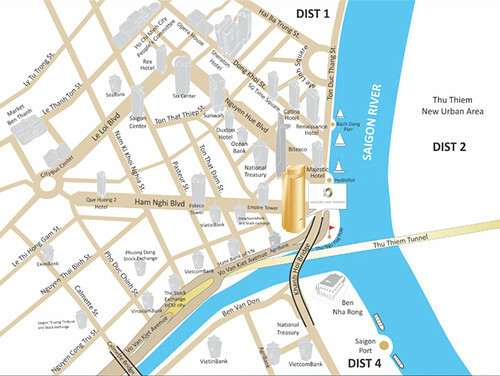 VNRE – Saigon Centre is mixed-use development located along Le Loi Boulevard, one of the main thoroughfares in the Central Business District of Ho Chi Minh City, Vietnam. 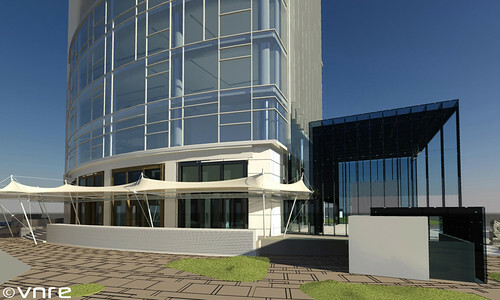 The first phase comprises a three-storey retail podium, 11 floors of offices and 89 luxury serviced apartments which have be in operation since 1996. Soon, Saigon Centre will be enhanced and tranformed into an iconic architectural landmark, further affirming the development’s position as the preferred “live-work-play” address in the City. 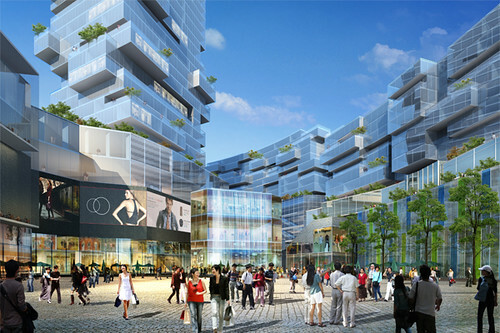 Upon completion, Saigon Centre’s new retail mall will bring a new exciting concept to satisfy the needs of the growing consumer community in Ho Chi Minh. 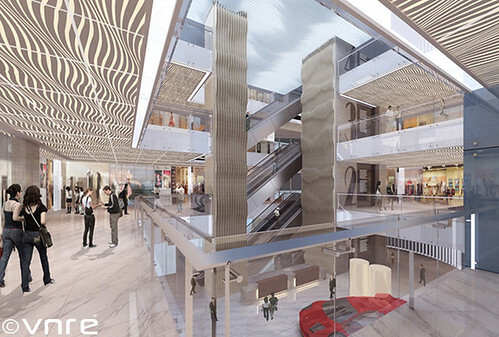 Expect a unique shopping experience spread across 55,000 square metters of floor space. 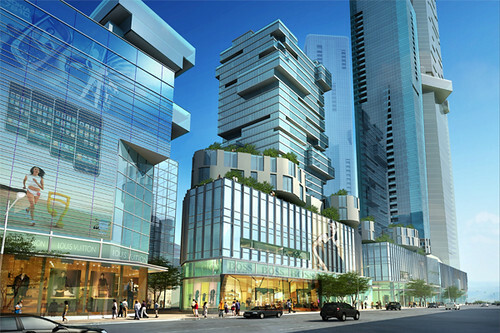 Te vibrant mix of retail and lifestyle shops will include a premium department store, luxury brands, jewellery and timepieces, local % international fashion labels, beauty and wellness services, home electronics, lifestyle stores as well as a host of dining options ranging from local favourites to international cuisines. 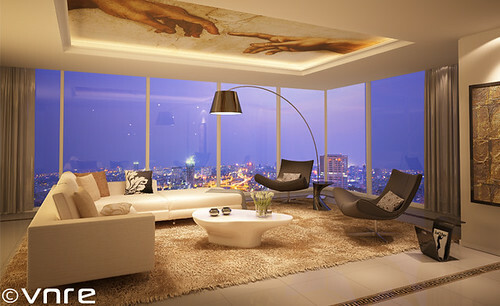 Crafted by international renowned architect NBBJ based in New York, the design of Saigon Centre is inspired by the diversity and vibrance that make up the urban fabric of Ho Chi Minh City. 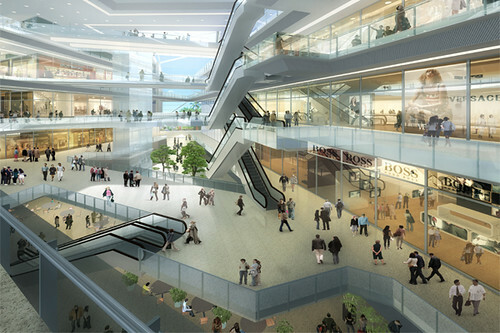 To draw in the bustling street life for a seamless connection into Saigon Centre, the retail promenades stretch through and from the mall to an expansive public plaza, creating sense of space and openness. 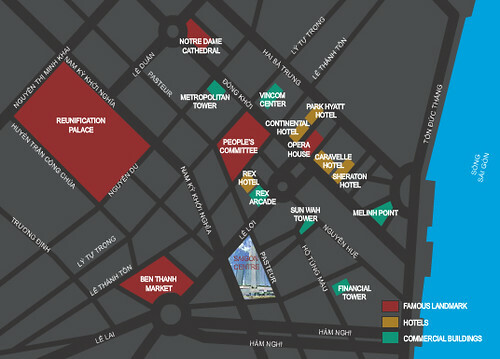 Together with the wide variety of retail and entertainment options in the surrounds, Saigon Centre will become a new destination for lifestyle, leisure and recreation. 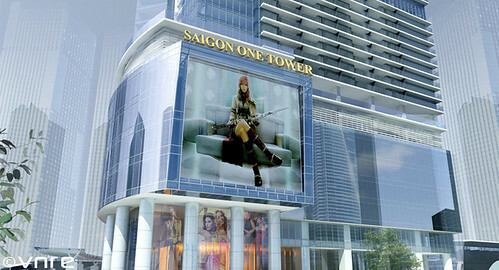 Sustainable and comtemporary, Saigon Centre will soon establish itself as a new retail icon in Asia. 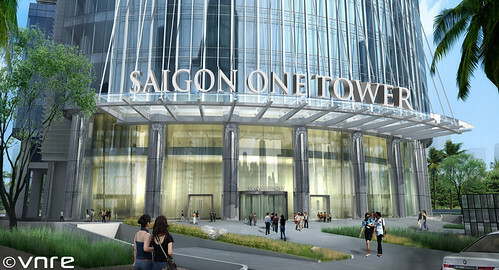 Saigon Centre is a joint venture between Keppel Land and local partners Resco and Sowatco. – Keppel Land Limited is the property arm of the Keppel Group, one of Singapore’s largest multi-national groups with key businesses in offshore and marine, infrastructure, and property. 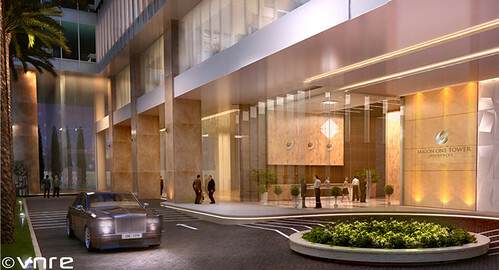 With beginings dating back to 1890, Keppel Land is one of Asia’s premier property companies, recognised for its sterling portfolio of award-winning residential developments and investment-grade commercial properties as well as high standards of corporate govermance and transparency. 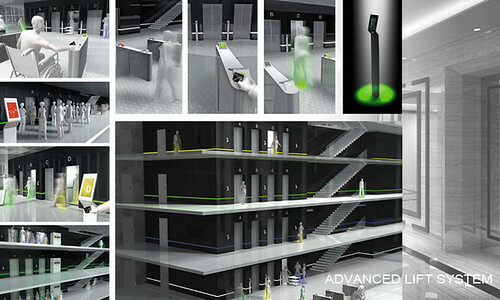 The Company is geographically diversified in Asia, with current focus on Singapore, China, Vietnam, Indonesia and India. It has a strategic focus on two core businesses of property development and property fund management. 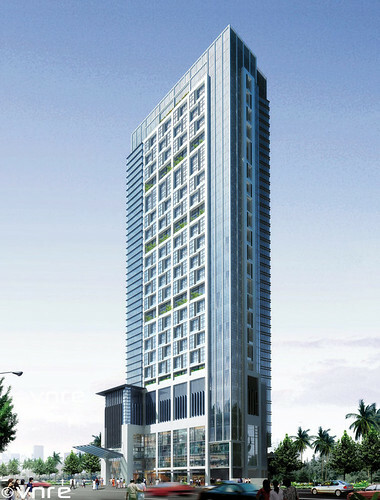 VNRE – Saigon M&C Tower is located at No.34A Ton Duc Thang street, Nguyen Thai Binh ward, district 01, Hochiminh City. 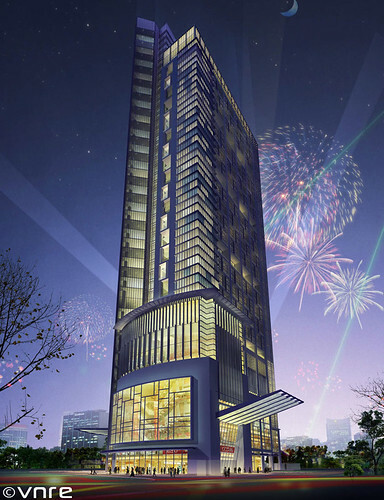 Built on a land area of 6.672m2 with building density 48%, the 41-storey tower will become one of the highest priced real estate developments in Vietnam. 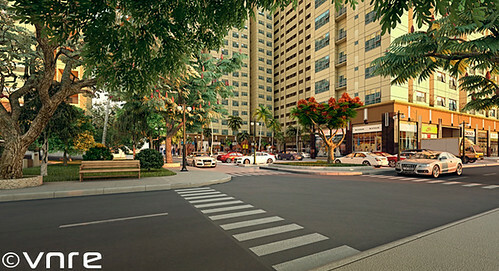 Located in central business district, bordered by Ham Nghi street, Ton Duc Thang street and East-West Avenue, where is important intersection point of city connecting: district 1, district 4, Phu My Hung new urban and Thu Thiem new urban – financial centre of Hochiminh city in the future. 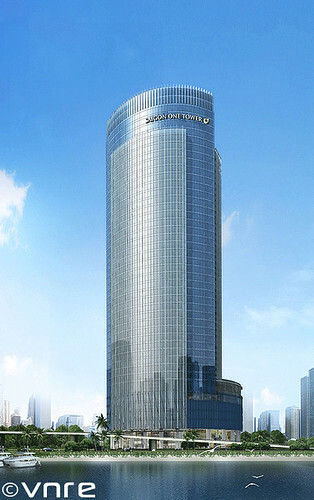 Saigon M&C Tower has scale of 41 storeys high, in there, 6 storeys podium 23.000 m2 are used for trade center, 34 storeys are used for international standard office with total area of 49.000 m2; and apartment zone on the top of building includes 133 luxurious apartment and serviced apartment for lease. Total capital investment is estimated of $200 millions. 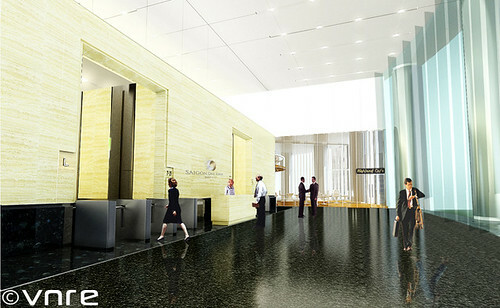 Offically broken ground on August 09, 2007 and will be completed in Q2 2012. M&C Real Estate Join Stock Company is a joint venture company established by Saigontourist Corporation, M&C Corporation, DongA Bank and DongA Bank Security in order to build a mixed-use development. 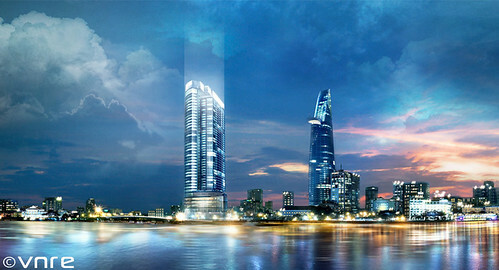 Saigon M&C Tower was approved by Prime Minister and Hochiminh City People’s Committee and assigned to Saigon M&C Real Estate Join Stock Company in October 2005. In addition, M&C Real Estate Join Stock Company is also developing several luxury mixed-use properties in downtown locations in both HCM City and Hanoi City as well as over total 450 ha of high end beach resorts in Ba Ria, Nha Trang and Phu Quoc. VNRE – Located at an intersection in Ho Chi Minh City’s District 1 where four streets meet: Tran Dinh Xu, Nguyen Trai, Cong Quynh and Nguyen Cu Trinh. This project is the largest parcel remained in the district 1 for a mix-used development. 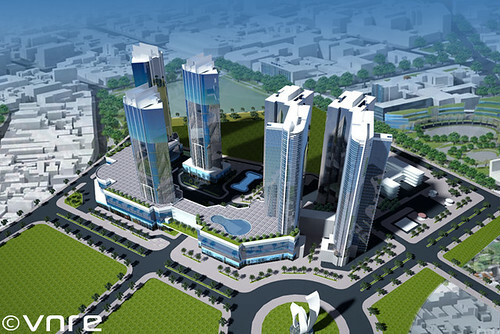 When completed, the Nguyen Cu Trinh Centre will include retail and office buildings as well as a high-end residential area. This project includes 3 components: The new mix-used of around 600,000 square meters (gross construction area) for residential, retail, office and hotel, included in this development are the resettlement area of around 100,000 square meter (gross construction area) for 900 residential units and the new Saigon Hospital on the gross construction area of 36,000 square meters for an estimated 300 hospital beds. 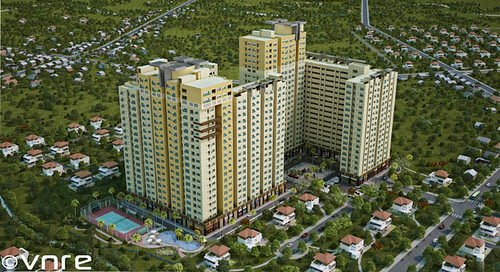 Apart from the economic benefits the Nguyen Cu Trinh project will bring to Ho Chi Minh City, there will also be social benefits such as the creation of a new and modern residential area for the city and improved infrastructure in District 1.